I am the happiest girl today. Everything about this time of year makes me giddy. From the tiny acorns on the ground to the beautiful leaves and warming up with cozy sweaters is the best! 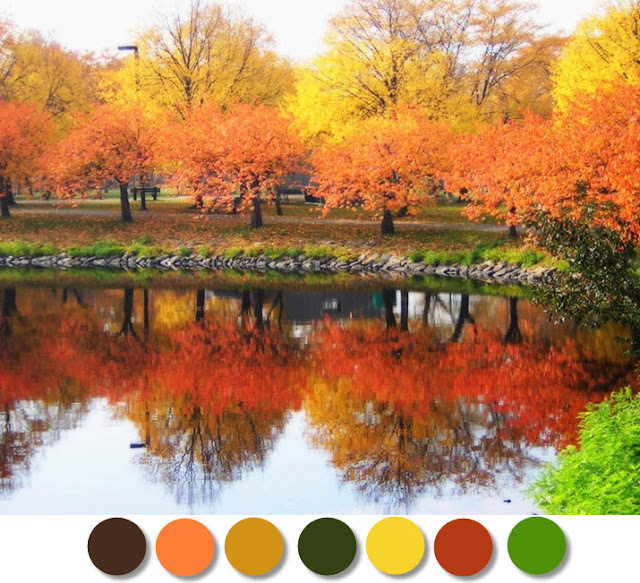 What is your favorite thing about this time of year? Do share. Fall is my favorite time of year by far. I am not sure what I love the most...the beautiful colors on the trees or the crisp, cool mornings, or the cozy sweaters. I love it all! Belle on Heels- thats a good one!! Having a wedding in the fall is amazing. How fun and CONGRATS! my favorite thing about this time of year is getting to live in New Hampshire IN all this beauty, not just having looking at pictures of it!! ohh Patricia I forgot butternut squash soup- I LOVE that! I love fall in New England! That first night of sleeping under our down comforter is the best. LOVE your list and I am dying being outside of new england during the fall. Hope all is well! things are busy but i'm enjoying the area still! Apple-cider-donuts from our local orchard and the brisk evening bonfires-- Fall is my favorite! I am more of a "summer girl" myself, however I love a good pumpkin spice latte! Cheers to fall Lindsay! Fall is fabulous! Love the smell of a nice outdoor fire on a crisp fall night. 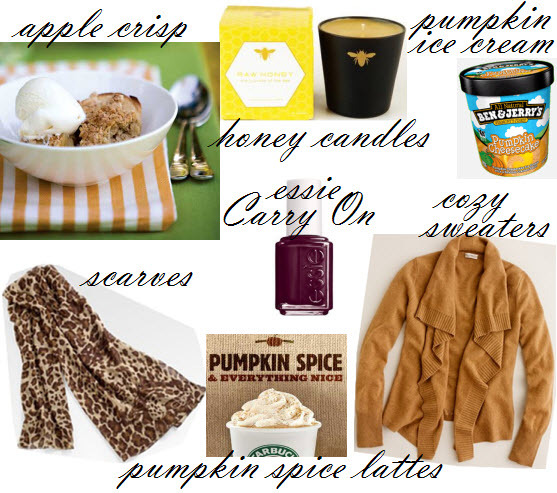 I also adore honey candles, what kind are in your collage? I can't quite make it out. Kayron, they are Paddywax candles. They are the one of the only honey candles I've found that I am obsessed with!